We could not see God in real form, but the presence of the almighty can be felt in different forms. 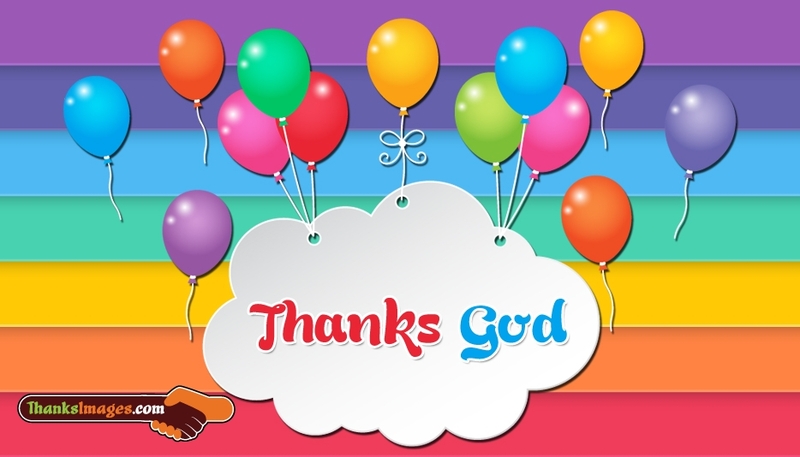 Here is a colorful image with the balloons along with the note "Thanks God". You can share this image to anyone, to say for a beloved person, friend, colleague, mother, father or sibling who showed their strong support and encouragement. The image "Thank God" is available for free download.